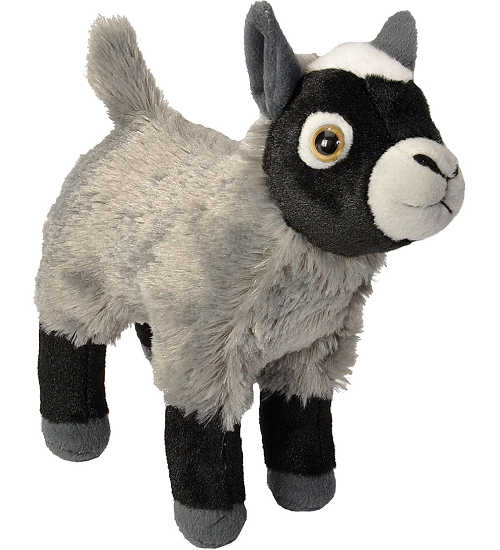 This adorable little Mini Cuddlekins stuffed goat is sure to delight with its cuddly body of soft gray fur, black "socks" above dark gray hooves, and sweet face of gray, black, and white with dark gray ears. 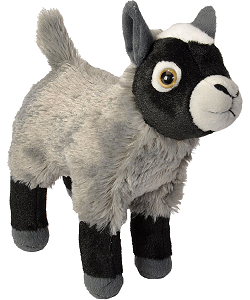 A portion of the proceeds from the sale of this fun Mini Cuddlekins stuffed goat helps to provide housing and education for disadvantaged children, as well as protection for abandoned animals throughout the world. Cuddly plush donkey, Bray, has soft gray fur, black hooves, and fluffy black mane and tail tuft.